We will be releasing a small number of Workshop tickets – Keep your eyes peeled. We have raised £820.85 for St Catherine’s Hospice so far! WOW! 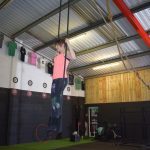 Totally overwhelmed with the amount of support from Friends, family, students and other aerialists in the North West who have helped us to raise these funds so far. 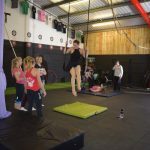 Yesterday we held our second Aerial Playground event which raised a whopping £425 for St Catherine’s Hospice taking us to a grand total of £820.85! Tickets were sold at £10 each and we also held a raffle. 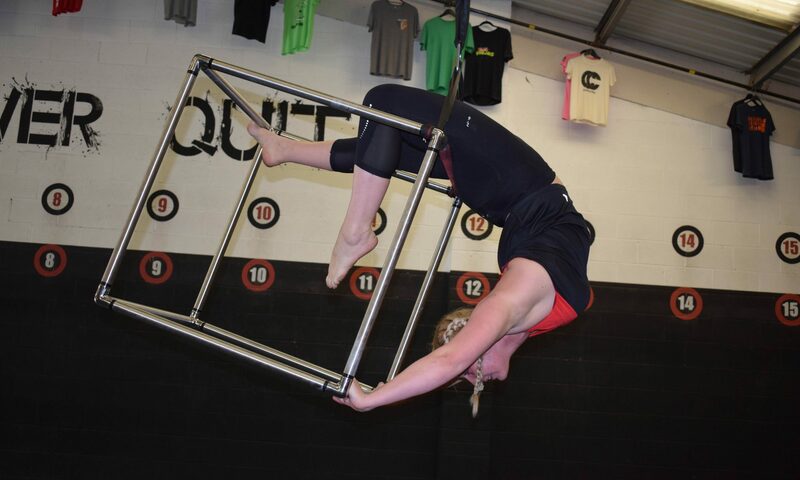 Once again it was great to meet new aerialists from other studios – one thing I love about hosting these events. 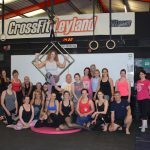 and last but not least, CrossFit Leyland as when the CrossFit doors close, we take over their box and come alive with Circus! Thanks to my best friend and student Pam who put on an aerial hoop performance – on point as always! Here are a few videos and photo’s from yesterday. 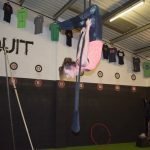 Make sure you follow the CirqueFit page to look out for the next charity event. Thank you to all the wonderful people who have donated prizes for the raffle raising money for St Catherine’s Hospice. 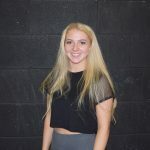 The raffle will be drawn tomorrow at the Aerial Playground event which is basically an Aerial Jam for 2.5 hours on Aerial Hoop, Aerial Cube, Aerial Silks, Aerial Hammock, Aerial Rope, and Trapeze, with the addition of Charlotte Baxter Photography who will be set up with an Aerial Rig for professional photography. Due to the success of our last Aerial Playground fundraiser, we will soon be announcing our next event to take place in September! This time, we will be fundraising for St. Catherine Hospice as part of Amanda and Pam’s 2017 fundraising extravaganza! Places are limited and first places will be offered to students of CirqueFit and those who took place in July’s event. Following that, the last few spaces will be advertised. If you are interested, please register here to be the first to know. Here’s a reminder of how awesome our last event was! 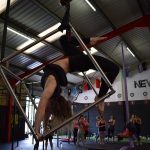 Whether you are an experienced aerialist or a total beginner, this is the place for you! We offer uninstructed jam time or instructed tuition.